Mr. Samuel Aruwan, spokesman to Governor Nasir El-Rufai, said in a statement that the Kaduna State Government strongly condemns the inciting, hate speech delivered by some self-appointed “northern youths” seeking to target and violate the rights of our citizens of Igbo extraction. “The Kaduna State Government takes exception to the fact that the “northern youths” did their irresponsible press conference in Kaduna. “This government has been consistent in taking action to punish hate speech and incitement. The government condemns the youths that threatened the safety and property of “our citizens of Igbo extraction’’. Government assures every resident of the state that it was their constitutional and human rights to live peacefully and own property wherever they choose. “We will not tolerate such irresponsible statements and conduct in our state. The statement issued by the “northern youths” violated the laws of Kaduna State. “Therefore, the Kaduna State Government has directed that its Ministry of Justice should prepare charges and prosecute the signatories and anyone complicit in arranging this egregious assault on the rights of fellow citizens. “Preparatory to the prosecution, the police have been directed to immediately arrest, interrogate the signatories to the statement and investigate all the circumstances and persons that may be implicated in the matter. The government urged all residents to ignore the threats from the “northern youths”. “We are in contact with the leadership of the Igbo community in Kaduna, and we delighted to say that this community, like all our other communities, believes in the strength of the constitutional order to protect all citizens. In his reaction, former Vice President and chieftain of All Progressives Congress, Alhaji Atiku Abubakar, said condemned the ultimatum issued by a Northern youth coalition. He explained that he was alarmed by the latest dangerous outbursts, warning that it does not augur well for the North and the country at large. 0 Response to "Gov. 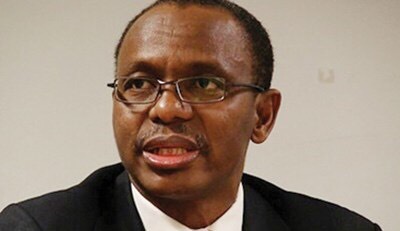 El Rufai Orders Arrest Of Youths Who Issued Eviction Ultimatum To Igbos In Kaduna"